I received my ITIL 4 on March 31, 2019. 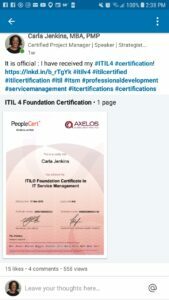 I also had the ITIL 3 Foundation certification. I have over 12 years’ problem solving experience using IT service management.